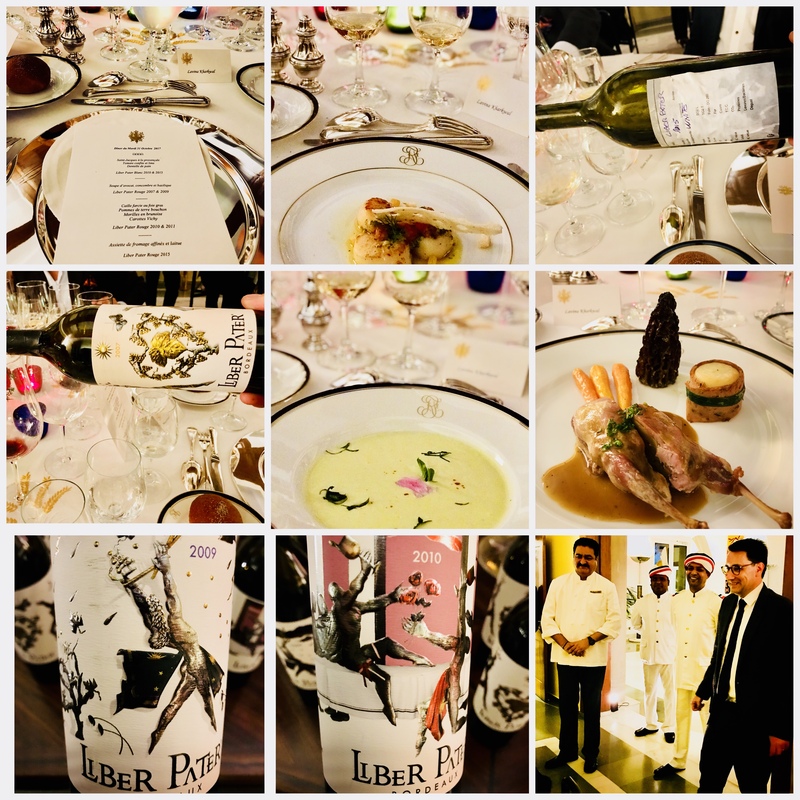 Home › French Wine › Why Liber Pater Bordeaux Wines Are So Expensive ? At over $4000 per bottle, Loïc Pasquet’s wine is certainly not cheap. In fact, Liber Pater Bordeaux is more expensive than some of Bordeaux’s most renowned names like Petrus, Cheval Blanc and Lafite-Rothschild. It was definitely the most expensive wine that I ever tasted. I was fortunate to enjoy a few pours of this exclusive and rare wine, at a dinner hosted by the French Ambassador to India, H.E Alexandre Ziegler in association with the Delhi branch of IWFS (International Wine & Food Society), where Loïc Pasquet presented several vintages of the three wines that his estate produces, red, white and a sweet white dessert wine. Liber Pater Blanc 2010 & 2015 (stunning barrel sample) & Liber Pater Rouge 2007, 2009, 2010 & 2011. The gorgeous labels are designed by French artist Gerard Puvis. 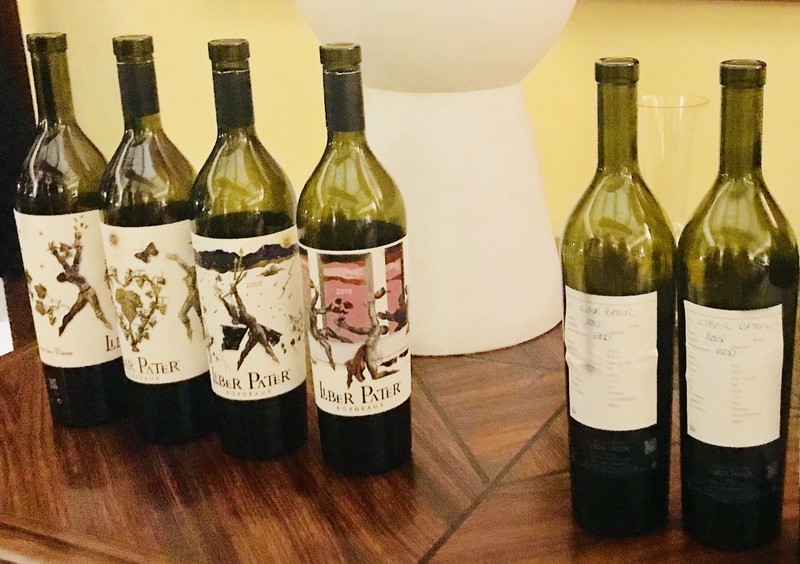 You may well ask why Liber Pater, a small boutique winery in the Graves appellation of Bordeaux, which began production only in 2006, commands this kind of an astronomical price and has earned a cult status in such a short time. And that too for a non-appellation wine, a mere ‘Vin de France’. It is because the maverick owner-winemaker Loïc Pasquet does things differently, and for this reason, his stunning wines taste like no other wine you may have tried earlier. For one, he uses rare vines native to the Graves region on ungrafted rootstock, that were used to make wine in the mid 19th century, before the scourge of phylloxera destroyed vineyards in France and most of Europe, post which a majority of Bordeaux winemakers took to grafting North American phylloxera-resistant vine strains onto their rootstock. These rare vines chosen through ‘selection massale‘ produce rather exceptional wine and Pasquet uses this USP, that ‘pre-phylloxera’ tastes better than ‘post-phylloxera’ to market his wines. Some of the grape varietals he has planted on his seven-hectare vineyard in Graves dating back to Roman era, like Castet, Mancin, Tarney Coulant and Marselan, are from pre-phylloxera times that are not allowed by INOA rules in Bordeaux blends anymore while his Cabernet Sauvignon and Merlot vines are more than 40 years old. The fruit for Liber Pater Blanc and sweet wine comes from 80-year-old Sémillon vines. Pasquet highlights this point while talking about his wine even though the rare varietals have been added only from Liber Pater 2015 vintage onwards. However, because of the inclusion of these non-AOC varietals, his wine can only be sold as Vin de France and he cannot use Graves appellation on his label. He has planted some of these vines at extremely high density of up to 20,000 vines per hectare, contrary to local wine-making rules, for which he was penalised, though Pasquet in his defence says that he took permission in 2010 to do so. Because of the density and closeness, Pasquet uses a Spanish mule for tilling the soil, as a regular plough horse is too wide for the narrow rows. Even the plough used is 150 years old. His wine-making operations are extremely labour intensive as all work in the vineyard is done manually. No chemical fertilizers are used and Liber Pater Bordeaux wines are certified organic by Ecocert. A lot of thought and effort goes into the vinification process too, right from barrel selection, a much longer maceration time, malolactic fermentation in 100% new French oak barrels etc. All this coupled with the fine sand and gravel terroir of Graves, imparts a uniqueness to his wines and in Loïc Pasquet’s own words, “My wines taste exactly like a Graves wine did at the time of Bordeaux Wine Classification of 1855”. No stranger to controversy, Pasquet was indicted in 2016 for falsely claiming EU subsidies for promotional work. The case was settled after he paid a hefty fine. He also saw some of his vines which he calls ‘historical treasures’ vandalised. A price you have to pay when you try to be different from everyone else in the region. Also as someone rightly said that a little controversy and drama does no harm to a brand. The fact, however, remains that Pasquet’s iconic wines are most expensive in Bordeaux and not without a reason. When you taste Liber Pater Bordeaux, you taste a piece of French history. 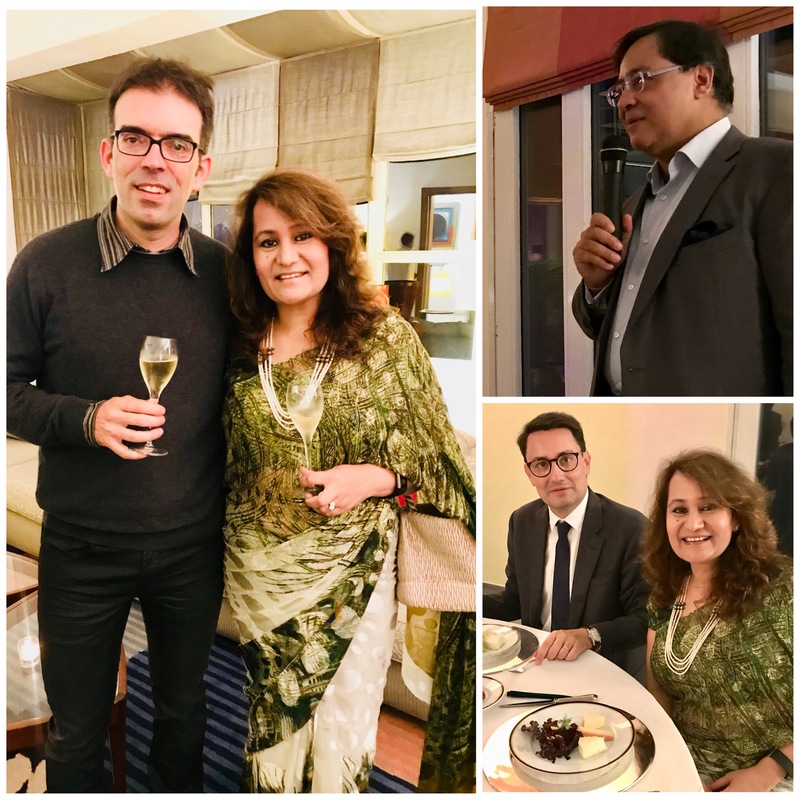 With Loic Pasquet and French Ambassador H.E Alexandre Ziegler.